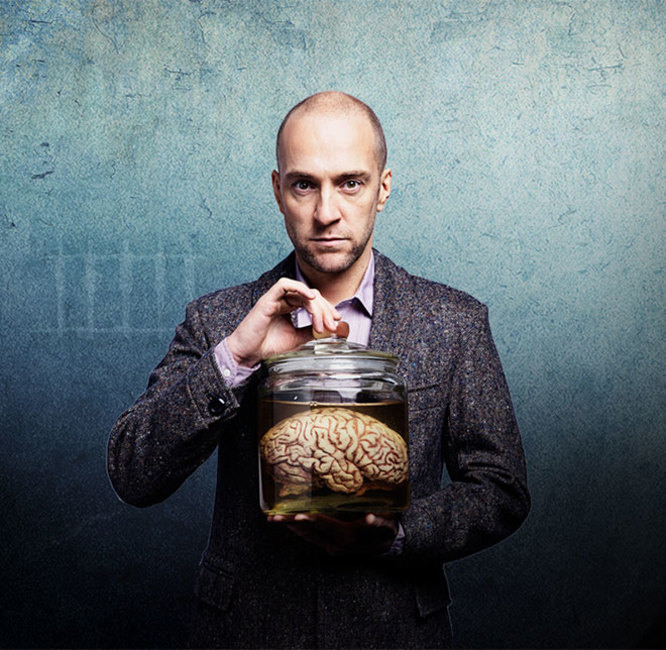 Thorpe Park Resort and Derren Brown, the world famous English mentalist, team up for the theme park's biggest investment to date. The park, which is located next to London, recently announced the world's only fully immersive psychological attraction. Since three years a team of 1,000 specialists and experts are working to bring the new experience to life for the 2016 season. This is IMAscore's first collaboration with Thorpe Park Resort. The theme park always went to the limit, with brave iconic rides such as the UK's first Wing Coaster THE SWARM, SAW – The Ride, the world's first horror movie themed rollercoaster, STEALTH, one of Europe's fastest and tallest roller coasters and COLOSSUS, the world's first ten inversion rollercoaster.The award winning mentalist Derren Brown is best known for his mind blowing TV specials and interactive stage shows, like Mind Control, Trick of the Mind and Trick or Treat. He has become synonymous with the art of illusion, misdirection and hypnotism since he first came to prominence with his early Channel 4 shows in 2000.